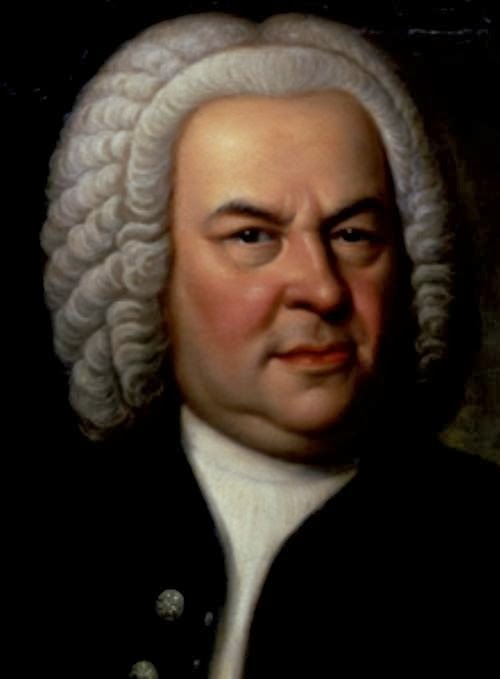 One Eternal Day: "A distant echo of Paradise"
.... Bach's humanity is inseparable from his faith in God's mercy. Blind, crippled by a stroke and dying, he dictated his "deathbed" chorale BWV 668a, Wenn wir in höchsten Nöten sein ("When we are in desperate straits"), which directly addresses God: "Turn not Thy gracious countenance / From me, a poor sinner." Nothing, it is safe to say, could be less congenial to the "Olympian" mentality of modern man. "It is Bach," Gardiner defiantly declares, "making music in the Castle of Heaven, who gives us the voice of God — in human form." For that reason Bach must remain a closed book to those for whom the category of divinity is meaningless, and hence deny that it is possible "to make divine things human and human things divine". Music — even Bach's music — cannot be "divine" unless God is a presence, unseen and perhaps unconscious, in our lives. We instinctively reach for theological metaphors when we experience the numinous quality of sacred art and music. But for these words to mean anything, we must have at least some confidence that the universe itself has meaning. Bach puts us back in touch with that numinous, on occasion even visceral, presence of the divine. And this involuntary response tells us that there is something transcendental within us, at the very core of our being, that recognises itself in this music. We are made in the image of God, the Bible tells us; in the same way, our music is a distant echo of Paradise.